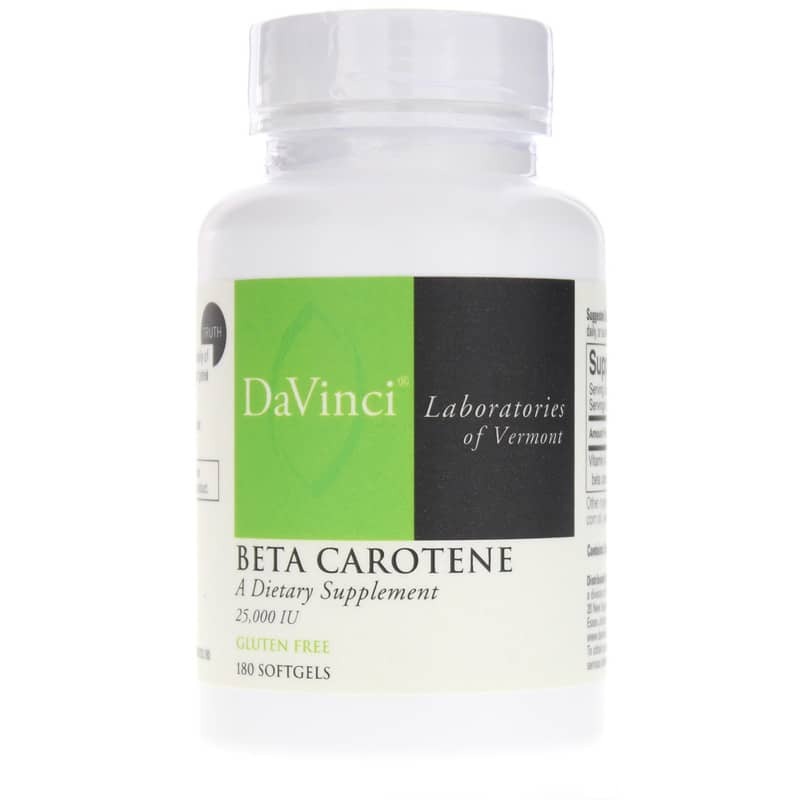 Beta Carotene by DaVinci Laboratories of Vermont contains 25,000 IU of Vitamin A that is 100% beta-carotene. High doses of Vitamin A may create problems with toxicity, however, high doses of beta carotene, will not. That is one reason it is a great choice for Vitamin A deficiency. Beta Carotene is a carotenoid which is converted in the body into Vitamin A.
Beta-carotene is one of a group of natural chemicals known as carotenes or carotenoids. Carotenes are responsible for the orange color of many fruits and vegetables such as carrots, pumpkins and sweet potatoes. It is an antioxidant, like vitamins E and C.
Beta carotene is converted into Vitamin A by the liver on an "as needed" basis and is water soluble (unlike Vitamin A, which is fat soluble) which means it does not build up in the body. 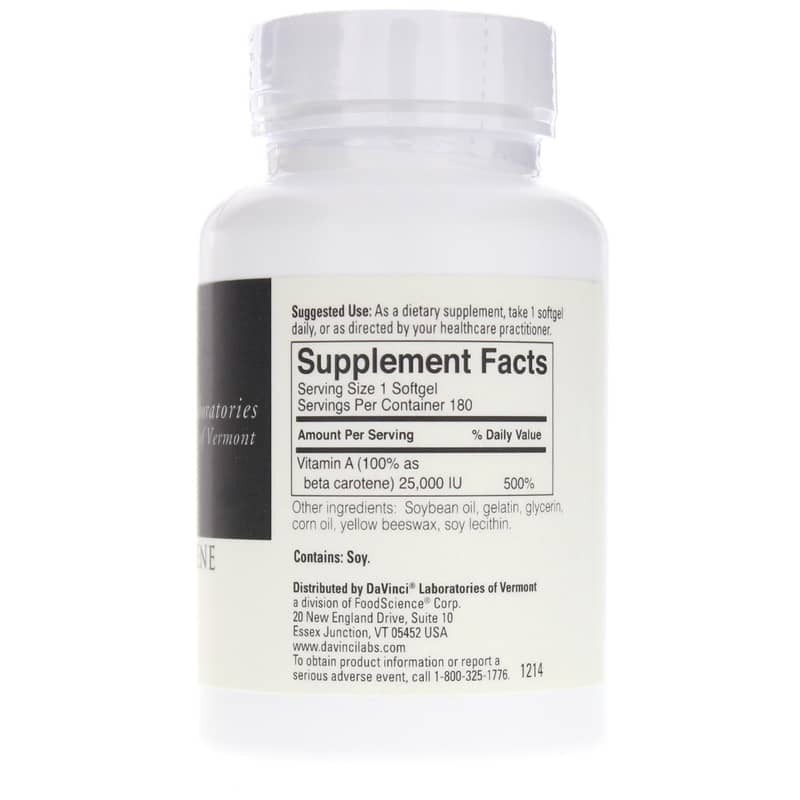 For 100% Beta-Carotene Vitamin A, order today! Other Ingredients: soybean oil, gelatin, glycerin, corn oil, yellow beeswax, soy lecithin. Contains: Soy. 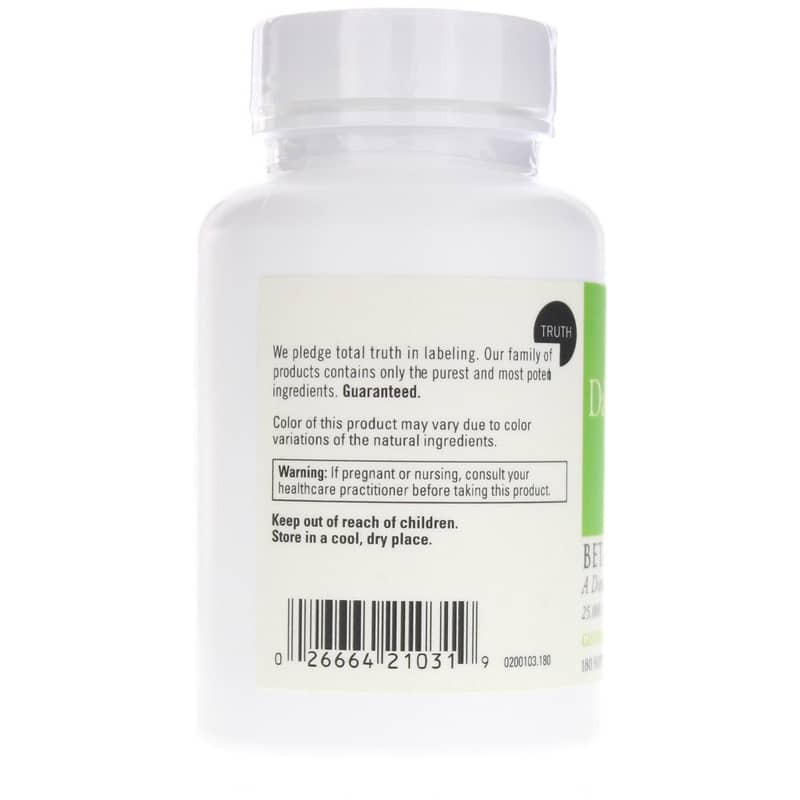 Adults: As a dietary supplement, take 1 softgel daily, or as directed by your healthcare practitioner.